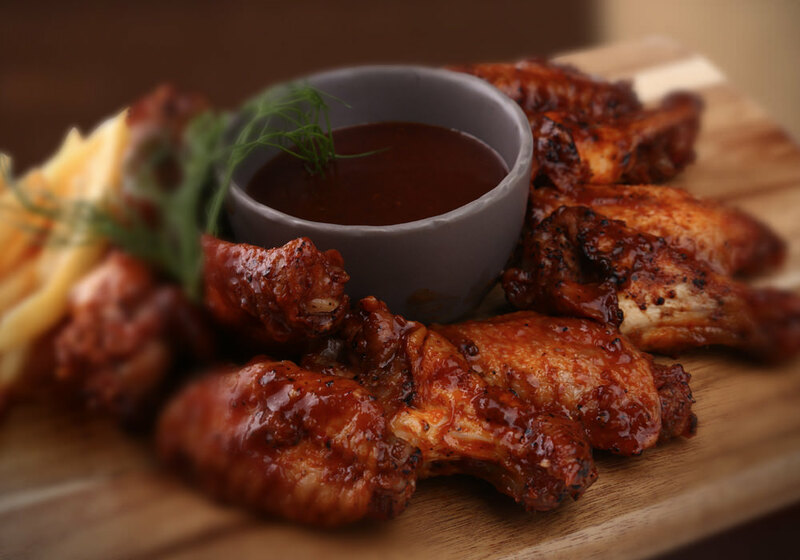 We might be new in town, but we’re famous for our wings. Basted. Served with fries. Dang. Get a taste of Texas that will no doubt leave you wanting more. From the minute you walk in, you’ll feel our Texan warmth. Now rumour has it, that everything in Texas is what you’d call a ‘fair size’, so you better be packing an empty belly, and parched throat ’cause we aim to fix all that with our moreish food, ice-cold beer, your favourite whiskey, and all the sports you could possibly watch on wall-to-wall big screen TVs! We’re family friendly too and have a menu tailored just for ya’lls little ones. Kids love our chicken strips, and gourmet shakes of course! But we’re not called a Wing Bar for nothin’. 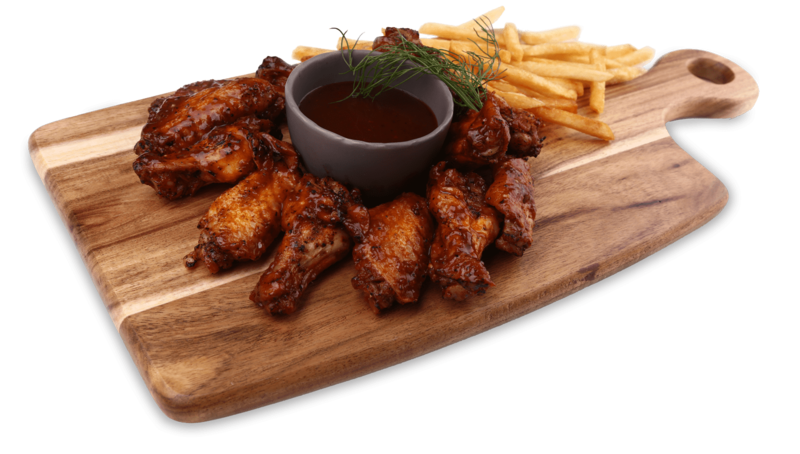 Bein’ the new wing capital of South Africa, we know a thing or 2 that we can’t wait to share with all ya’ll! 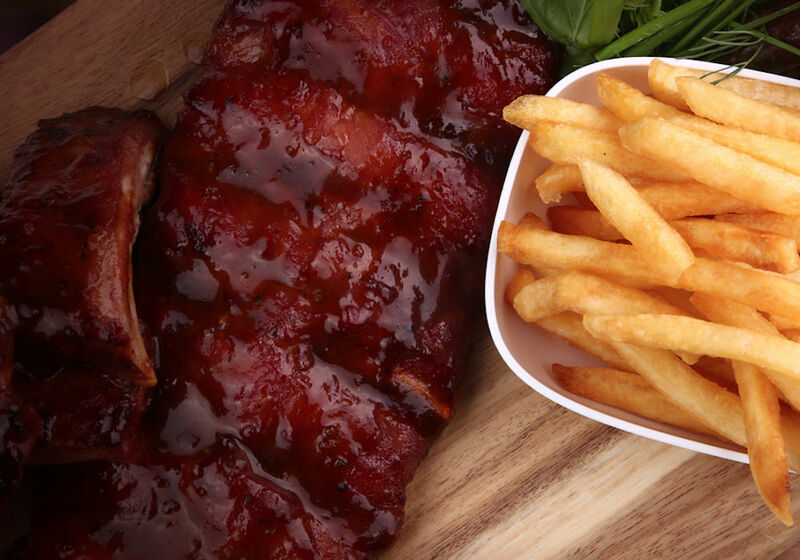 Traditional or boneless, hot or not, we’ve got the flavour you’ll savour. Our menu is full to the brim with big flavours and equally as big portions – The Texan way. Breaded or unbreaded, tossed in your choice of wing sauce. Maple and molasses glazed pork ribs, char grilled and served with a side of hand cut fries. 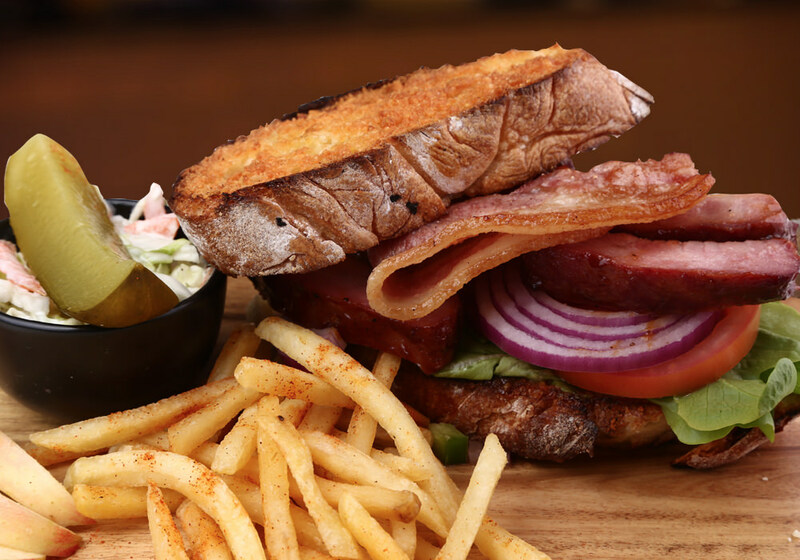 A boneless grilled pork rib patty topped with crispy bacon and pickled apple slaw.